The IBH stock market model is out of the market. 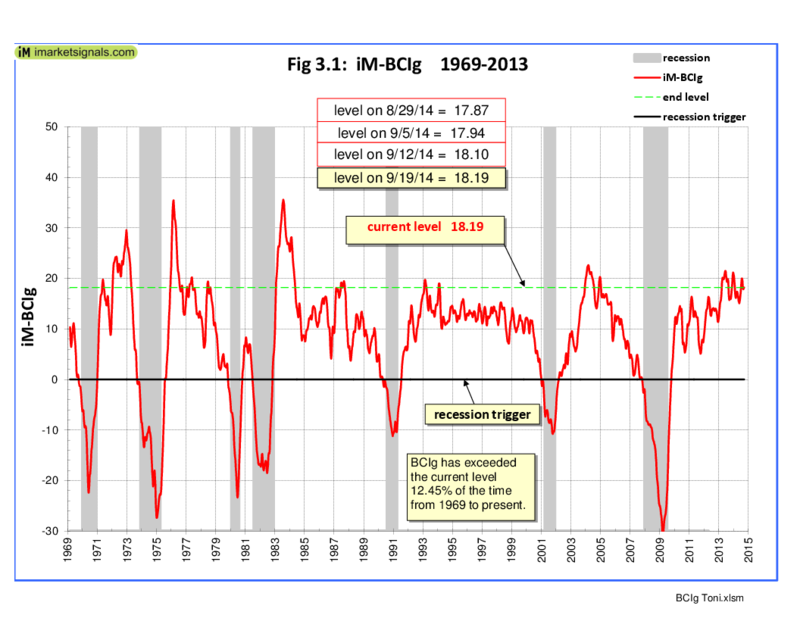 The MAC stock market model is invested, The recession indicator COMP is up from last week’s revised level, and iM-BCIg is near last week’s level. MAC-AU is invested. The bond market model avoids high beta (long) bonds, the yield curve is steepening, both the gold and silver model are invested. The IBH-model is out of the market as shown in Fig. 1. A sell signal was generated 78 weeks ago when the WLIg_shortEMA moved below the WLIg_longEMA. This signal was obviously incorrect and another Sell A signal was generated 12 weeks ago. The IBH-model is described here and the latest rules can be found here . The MAC-US model stays invested. 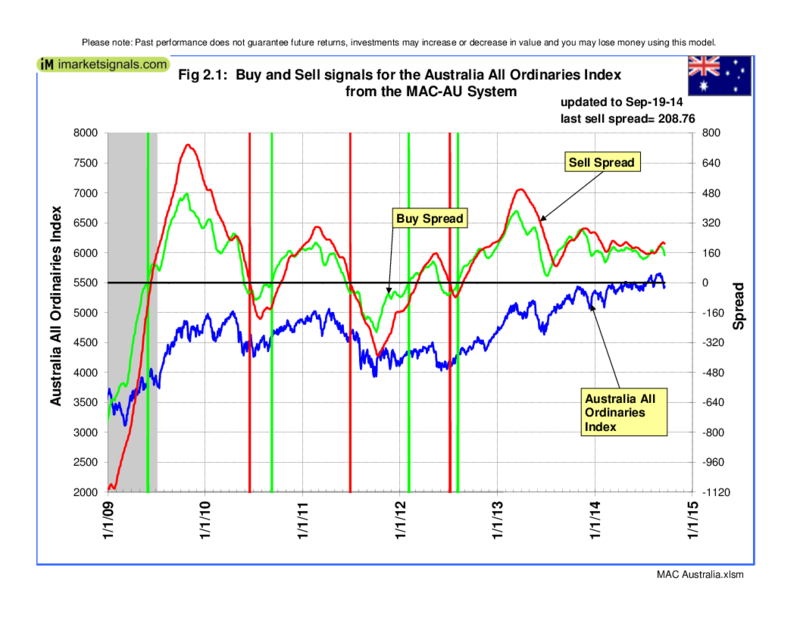 MAC-US Fig 2 shows the spreads of the moving averages. The sell-spread is higher from last week’s level. A sell signals is not imminent. 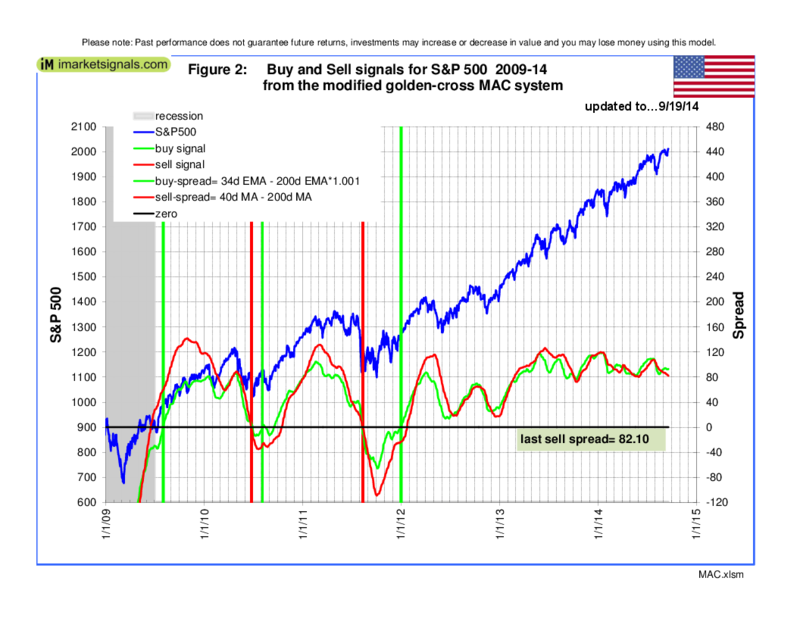 The sell spread (red graph) has to move below the zero line for a sell signal. In Fig. 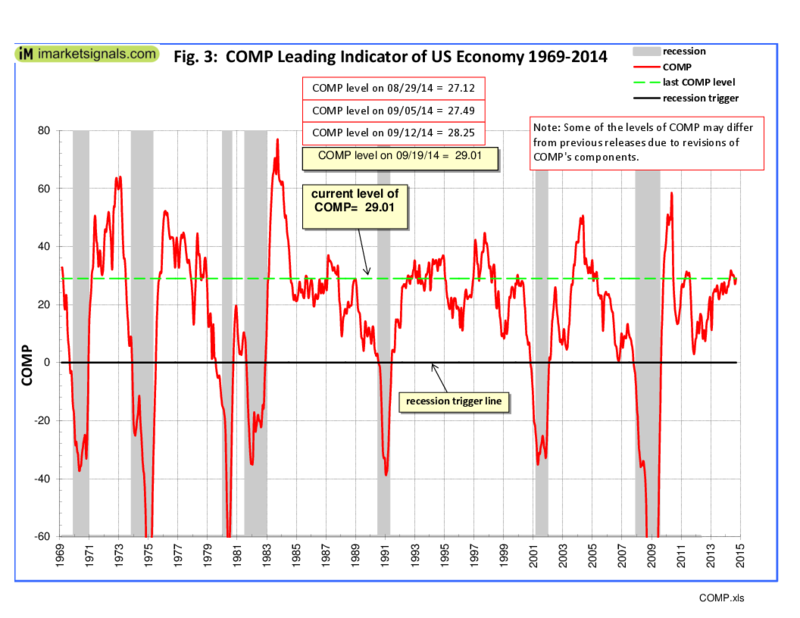 3 one can see that COMP is up from last week’s revised level, and far away from signaling recession. 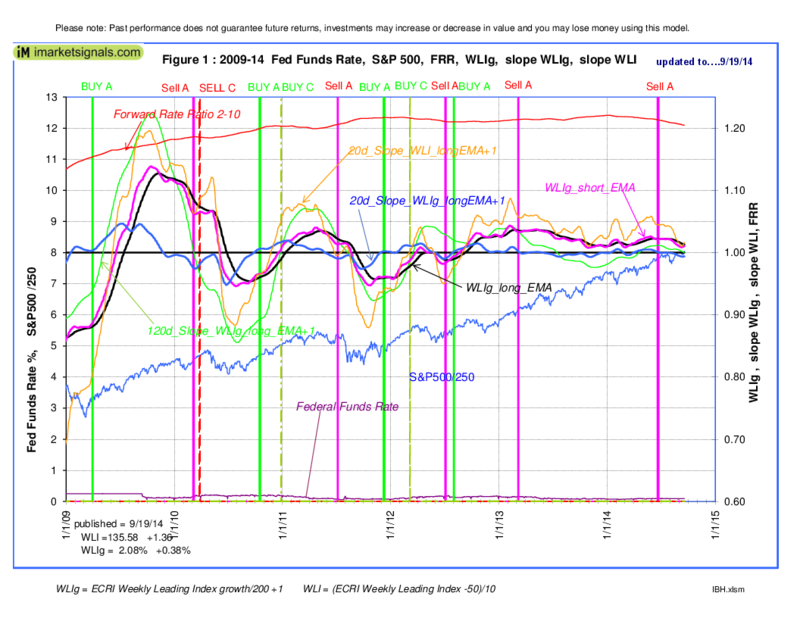 COMP can be used for stock market exit timing as discussed in this article The Use of Recession Indicators in Stock Market Timing.